Head coach of Kumasi Asante Kotoko, Charles Kwablan Akunnor has said he is not moved by speculations of being axed by the Kotoko management. 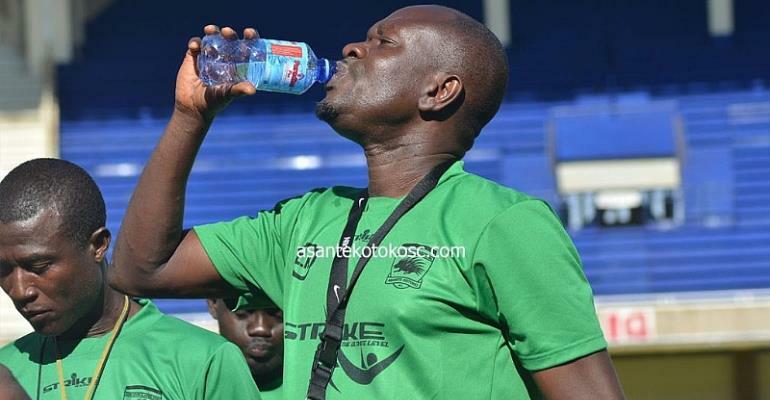 Akunnor who penned a three-year contract with the Porcupine Warriors in 2018, was unable to qualify his outfit of the Group stage of their CAF Confederations Cup campaign. According to the gaffer, he is focusing on his job and not the speculations. “Am not bothered about the rumours going around about possible my sack. I have been asked to submit my report on the African Campaign and also the plan going forward,“ he said on Metro FM. He also spoke about how he goes about his team selection. “I don’t have problem with any player but I only select players who will help my job, I don’t favour anybody and my players know because I always tell them the truth. C.K. Akunnor also thanked the team's supporters for the role they played in their CAF campaign, encouraging them to move on and not lay blame on individual players. “A lot of work went into the Africa Campaign to get to where we got to but people don’t know, I will always be grateful to the supporters because they always put fear in our opponents. “No need to blame anyone but we have to correct our mistakes and move forward. We must look at the positives and how to improve on them but shouldn’t focus on individuals because today is C K Akunnor but I won’t be there forever, " he stated. Kotoko are currently back from African and have joined the Ghanaian teams as they await for football to be revived in the country.